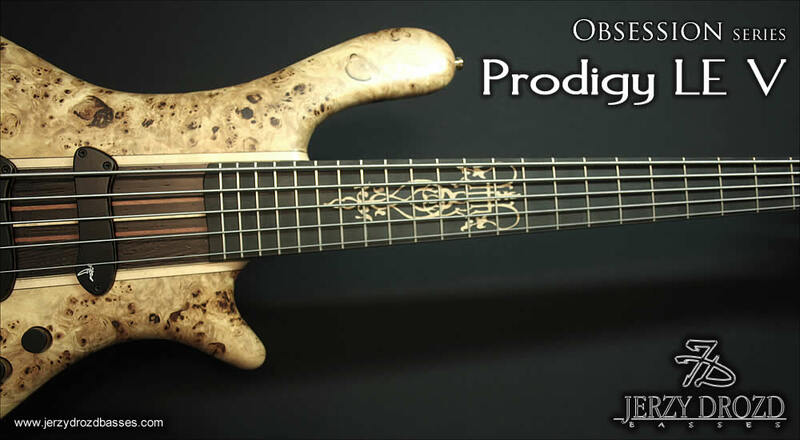 The Prodigy Limited Edition™ bass is probably our most widely known electric bass. 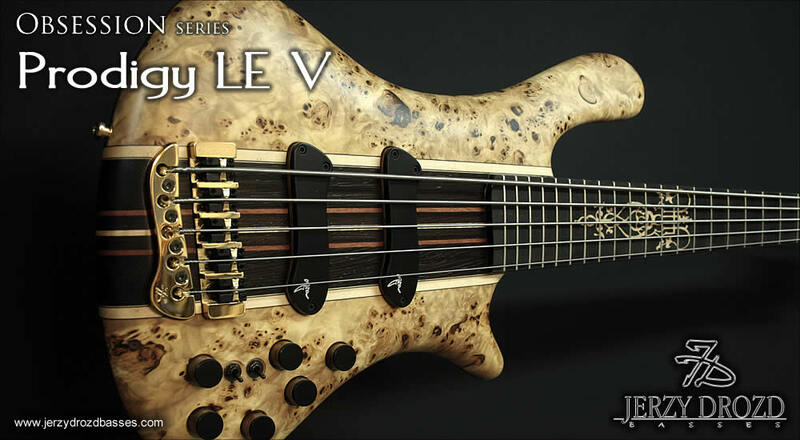 It was designed for a wide range of players who are looking for a very complete and unique bass. 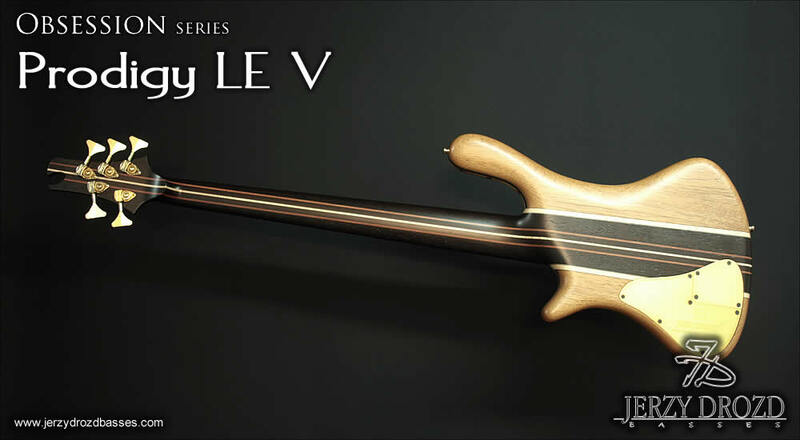 The basic of this instrument are the combination of woods we used to build this electric bass. 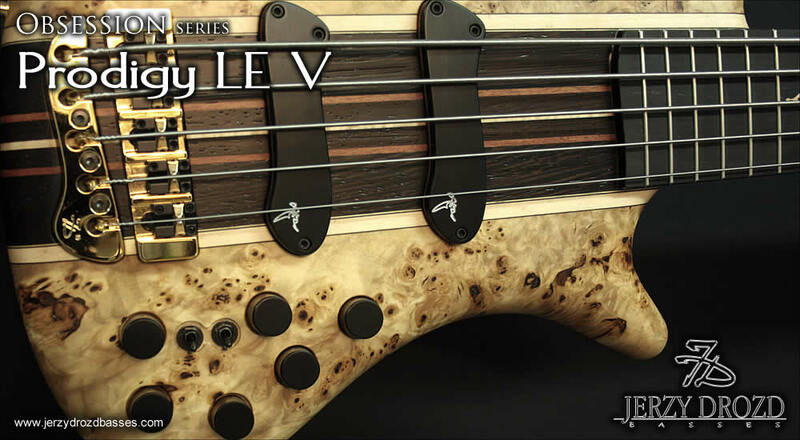 We selected all of them to give this bass that special look and feel. 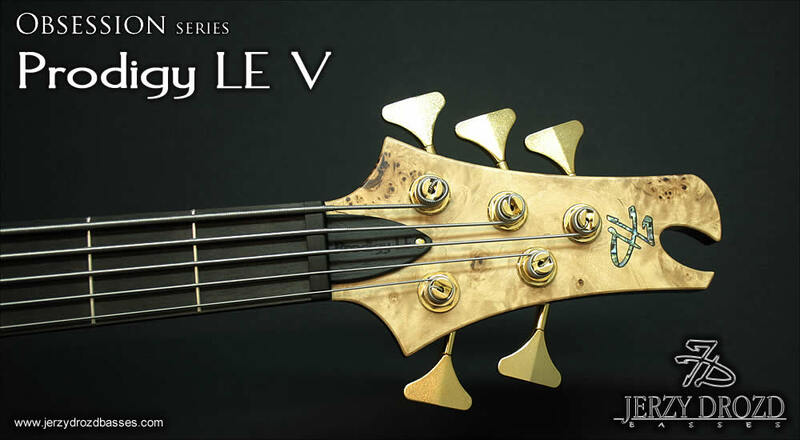 Its seven-piece mainly wenge neck with maple and bubinga runners gives it that nice deep tone but plenty of midrange sounds. 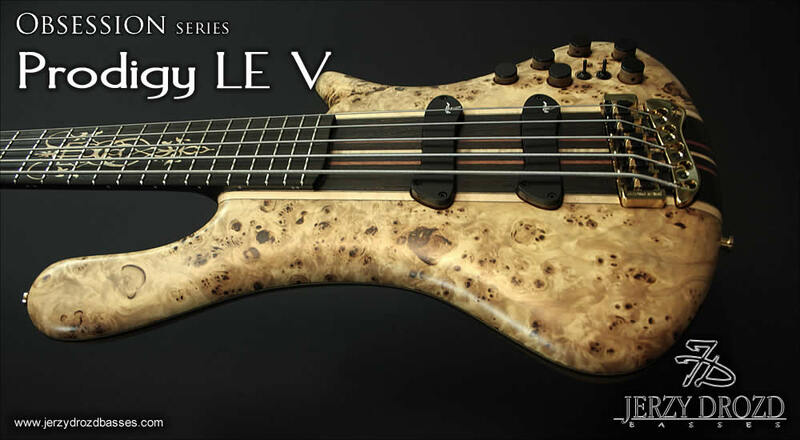 Black poplar burl wood was used for the body top, and due to its low weight the top accentuates the nice acoustic voicing of this bass. 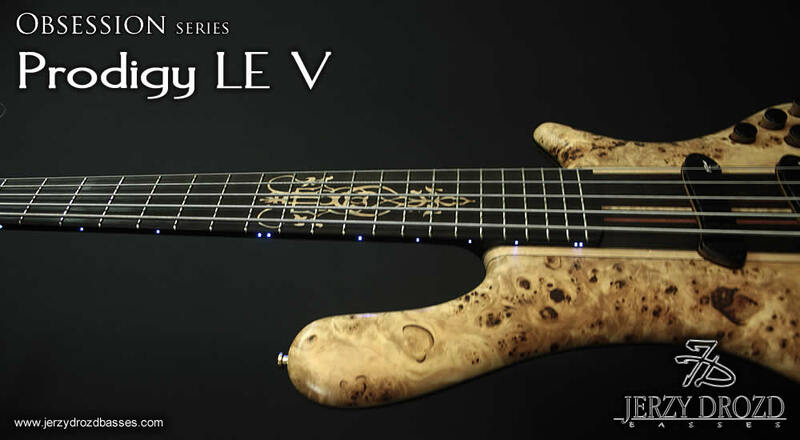 It has magnetic pickups for electric sound and piezo pickups for acoustic sound, so the tone variations are endless. You can play with electric sound, acoustic sound, or blend them in your own way, always with that perfect EQ from the Aguilar OBP-3 preamp. You can choose JeDXD pickups if you preffer double coil over our JeDXS pickups,also you can adjust the mid range frequency between 400Hz and 800Hz. 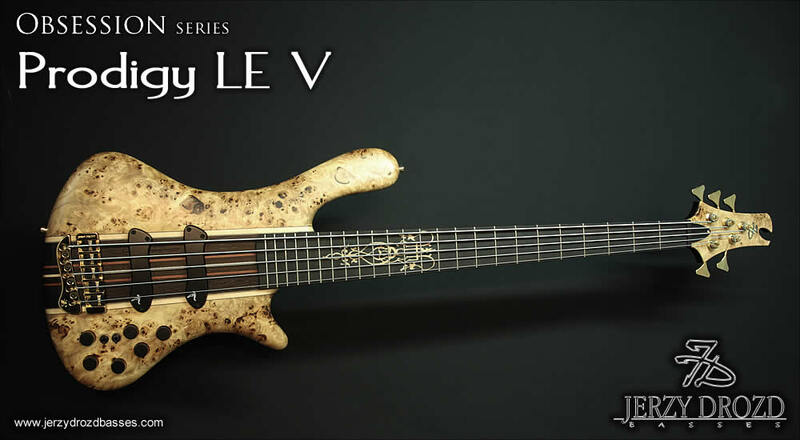 With this bass you can have it all. 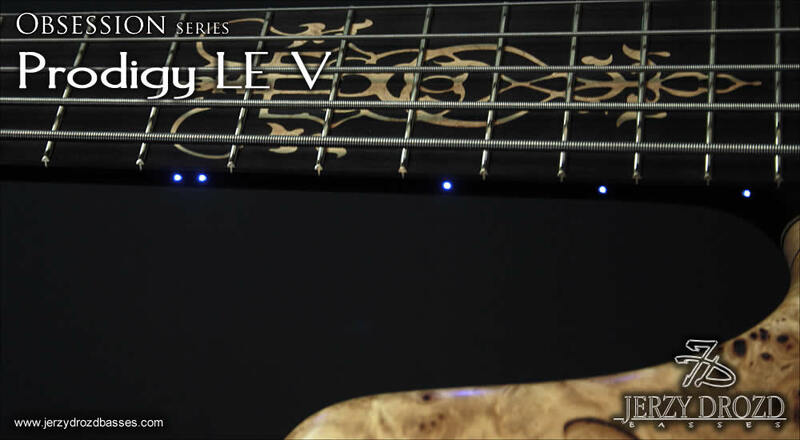 Our "Quo Vadis" inlay is standard on this bass, as are LED side dots, as well. You can even choose between blue (standard), white or red light colors. 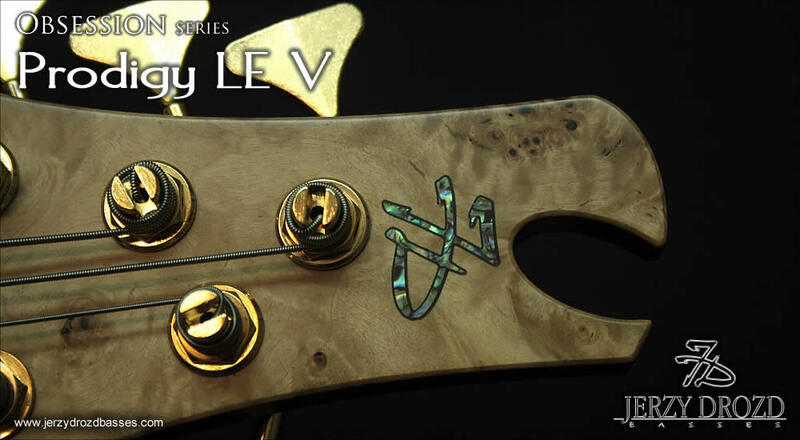 JERZY DROZD Prodigy Limited Edition Bass Guitar specifications are available insied of JERZY DROZD Catalogue available in "Collections" section, please register or login. 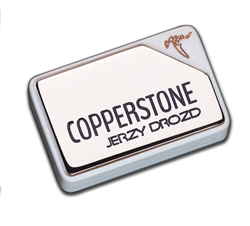 JERZY DROZD Catalogue is available for online view or as downloadable pdf file.